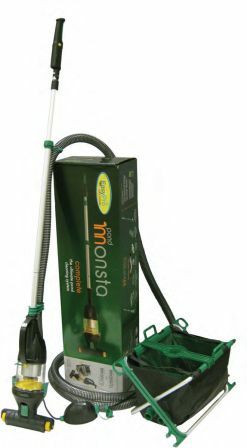 The Pond Monsta vacuum is faster than traditional pond vacuums, because it can continuously returns the clean water back into the pond. Leaves and other debris are sucked up through the vacuum and pumped into a debris collector. Water from the collector can be recycled back into the pond if sludge content is not high or water can be discharged onto lawn, flower beds, etc. After the vacuum canister is filled with it will discharge water into garden beds or use the mesh bag to capture coarse debris before returning water back into the pond. The auto fill and drain cycle is approx. 40 seconds vacuum and 20 seconds drain out.